Considered as private and confidential records, New Hampshire divorce records are available to only those people who have a direct interest in the records. 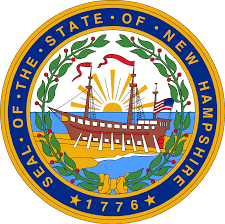 The New Hampshire Department of State Division of Vital Records Administration maintains and issues divorce records in New Hampshire. The New Hampshire Department of State Division of Vital Records Administration gives those who show a direct and tangible interest in the records access to divorce records from 1948 to present. People who can obtain copies of divorce records include the registrant, an immediate family member of the registrant and a legal representative of the registrant. You can make a request for Divorce records in person, through mail, over the phone or online. Regardless of how you request for it, the fee for a New Hampshire divorce record remains the same. For the first copy of the divorce certificate, the fee is $15 while each additional copy after the first copy costs $10. If you’re looking to obtain the divorce records through mail or online, you’ll have to the pay the fee through check or pay order. If you want to request the New Hampshire divorce records over the phone, you can call the New Hampshire Department of State Division of Vital Records Administration at 603- 624-6455. Apart from the aforementioned ways, you can obtain New Hampshire divorce records online through the Division of Vital Records Administration’s web-based software. Known as the New Hampshire Vital Records Information Network web, the web-based software of the Division of Vital Records Administration provides real time access to New Hampshire divorce records. After you register yourself on the website, you’ll be able to perform searches for New Hampshire divorce records. Obtaining divorce records in New Hampshire is that simple! Hi we are needing the dates of our divorces to apply for our passports. Help!! We don’t show the dates of you New Hampshire divorce record in our NH public records database. You can typically obtain the date of divorce as well as a copy of your NH divorce certificate by contacting the New Hampshire courthouse where your divorce was filed. Contact the courthouse clerk and make a request with them. You will typically need to pay a small fee for the NH divorce record copy and show proof of identification.